Parse is an open-source platform that provides one of the easiest ways to get a database and RESTful API up and running. If you want to build a mobile app and don't want to code the back-end by hand, give Parse a try. We can deploy our own Parse data store and push notifications systems to Heroku leveraging the server open-sourced by Parse. Parse is built on top of the MongoDB database which can be added to Heroku using MongoLab. To get started setting up our own Parse backend, check out our configuring a Parse Server guide. Once the Parse server is configured, we can initialize Parse within our Android app pointing the client to our self-hosted URL. After that, the functions demonstrated in this guide work the same as they did before. A comprehensive list of alternatives can be reviewed here. One of the primary alternatives is Google's Firebase, which provides a hosted solution for analytics, crash reporting, and a realtime JSON database. One major difference is that Parse still provides many powerful constructs for querying data, whereas Firebase requires you to perform this querying based on child/parent relations. See this guide for more information to porting Parse applications to Firebase. Parse is an open-source Android SDK and back-end solution that enables developers to build mobile apps with shared data quickly and without writing any back-end code or custom APIs. Connecting user with Facebook to create a user account. In short, Parse makes building mobile app ideas much easier! Setting up Parse starts with deploying your own Parse instance to Heroku or another app hosting provider. Select Tools -> Android -> Sync Project with Gradle Files to load the libraries through Gradle. When you sync, it will import everything automatically. You can see the imported files in the External Libraries folder. // See http://square.github.io/okhttp/3.x/logging-interceptor/ to see the options. // set applicationId, and server server based on the values in the Heroku settings. The /parse/ path needs to match the PARSE_MOUNT environment variable, which is set to this value by default. Assuming you have access to the Parse instance, you can test the SDK to verify that Parse is working with this application. Run your app and a new object of class TestObject will be sent to the Parse Cloud and saved. See browsing Parse data for more information about how to check this data. If needed in your application, you might also want to setup push notifications through Parse as well at this time. You should be setup now! Follow the remaining documentation guide to understand how to leverage Parse for your entire backend. At the core of many apps, there is a notion of user accounts that lets users access their information in a secure manner. Parse has a specialized ParseUser as a part of their SDK which handles this functionality. Be sure to check out the Users docs for a complete overview. See the API docs for ParseUser for more details. This call will asynchronously create a new user in your Parse App. Before it does this, it checks to make sure that both the username and email are unique. See the signup up docs for more details. // Hooray! The user is logged in. // Signup failed. Look at the ParseException to see what happened. // Hooray! The user is logged in. // Signup failed. Look at the ParseException to see what happened. That's the basics of what you need to work with users. See more details by checking out the User official docs. You can also have a Facebook Login or Twitter Login for your users easily following the guides linked. // The query was successful. See a list of query constraints here. Storing data on Parse is built around the ParseObject. Each ParseObject contains key-value pairs of JSON-compatible data. This data is schema-less, which means that you don't need to specify ahead of time what keys exist on each ParseObject. Each ParseObject has a class name that you can use to distinguish different sorts of data. See the API docs for ParseObject for more details. Notice that now our model has getBody, setBody as well as property methods for storing which user created the TodoItem. Note: When creating Parse models, avoid creating unnecessary member instance variables and instead rely directly on getString-type methods to retrieve the values of database properties. Note that there are two ways to save an object: saveInBackground which executes immediately and saveEventually which will store the update on the device and push to the server once internet access is available. See the saving objects and updating docs docs for more details. Also, check out the relational data section. See retrieving objects official docs for information on refreshing stale objects and more. See a list of query constraints here and check the queries overview for explanation of compound queries and relational queries. Often we might want to query objects within a certain radius of a coordinate (for example to display them on a map). With Parse, querying by GeoPoint to retrieve objects within a certain distance of a location is built in. Check the AnyWall Tutorial and the whereWithinMiles and related where conditions for more details. If you want to query this based on a map, first you can add a listener for the map camera. Next, you can determine the visible bounds of the map as shown there. Check the Maps Usage Guide for additional information on using the map. See this guide for more details. Parse Live Queries rely on the websocket protocol, which creates a bidirectional channel between the client and server and periodically exchange ping/pong frames to validate the connection is still alive. Websocket URLs are usually prefixed with ws:// or wss:// (secure) URLs. Heroku instances already provide websocket support, but if you are deploying to a different server (Amazon), you may need to make sure that TCP port 80 or TCP port 443 are available. Finally, listen to the events. You can listen for Event.UPDATE, Event.DELETE, Event.ENTER, and Event.LEAVE. An enter and leave event reflects changes to an existing ParseObject that either now fulfill the criteria or no longer do so. See this guide for more information about the live queries protocol specification. Often with Android development, you need to pass an object from one Activity to another. This is done using the Intent system and passing objects as extras within a bundle. Unfortunately, ParseObject does not currently implement Parcelable or Serializable. You can also use query.getFirst() instead to retrieve the item in a synchronous style. Review the different caching policies to understand how to make this fast. While we could implement parceling ourselves this is not ideal as it's pretty complex to manage the state of Parse objects. Objects can have relationships with other objects. To model this behavior, any ParseObject can be used as a value in other ParseObjects. Internally, the Parse framework will store the referred-to object in just one place, to maintain consistency. You can also model a many-to-many relation using the ParseRelation object. This works similar to ArrayList, except that you don't need to download all the ParseObjects in a relation at once. For more details, check out the official Relational Data guide. For more complex many-to-many relationships, check out this official join tables guide when the many-to-many requires additional metadata. For the full summary of how to utilize the offline mode for Parse, be sure to review the official local store guide in the Parse docs. Suppose we had a simple todo application with user accounts and items persisted to Parse. The next step is to setup and create our models using the Parse dashboard to manage your new app. Visit the "Data Browser" for the correct application and let's create our User and TodoItem objects for our app. First, remove the test code that we added previously and drop the "TestObject" listed in the browser to clear testing data. We are now ready to access these classes within our application. Check out our Troubleshooting Common Issues with Parse guide for a detailed look at common issues encountered and related solutions. Parse has many powerful features in addition to the core functionality listed above. Parse has full support for storing images and files uploaded by an application. Photos are stored using the ParseFile construct described in more detail here. A ParseFile instance can be initialized with a File object or a byte array. Follow the CodePath Camera and Gallery Guide guide for capturing photos with a camera. Alternatively, if you have a third-party library such as Glide or Picasso, you can also reference the URL directly and don't need to use this special ParseImageView widget. AnyWall Sample App - Sample app including how to read geolocation and use this data within your app. 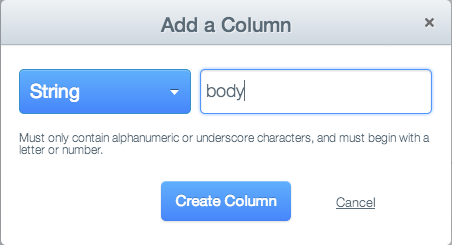 For a quick way of incorporating Facebook login, check out Parse's UI Library. It leverages Parse's FacebookUtils library, which acts as a wrapper for associating ParseUser objects with Facebook users. The official step by step instructions for integrating Parse with Facebook SDK is located here. The manual process of integrating with Facebook's SDK is discussed below. You will first need to create a Facebook app and get an Application ID. If you are using open source Parse, make sure to set the FACEBOOK_APP_ID environment variable too. Note that you need to add /parse in the url in order for Parse to work, not just the hostname. Make sure to add the FacebookActivity to your manifest file, as well as the application ID and permissions you wish to request. There are two ways to support Facebook login: one is to use your own custom button/icon, or to use Facebook's LoginButton class as described in the walkthrough. 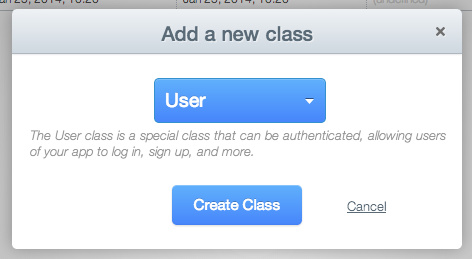 If you choose to use the LoginButton class, you should not use the FacebookUtils library to trigger a login. The reason is that Facebook's LoginButton already has click handlers that will launch a login screen, so using Parse's code triggers two of these screens to appear. In addition, you have to do more work to associate a ParseUser object with a Facebook user. For this reason, it is simpler to use the custom button approach when integrating with Parse. You can then attach a button click handler. First, follow the setup instructions for adding the Paging Library to your Gradle configuration. In addition, make sure also to change your RecyclerView to use PagedListAdapter as described in this section. You must take care of these first steps before proceeding to the section below. // Use values passed when PagedList was created. CloudCode Guide - Guide on how to write cloud-based code that adds error checking, validation or triggers "server-side"